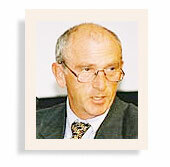 Greg established Compliance Australia in early 1998 and is the major shareholder. 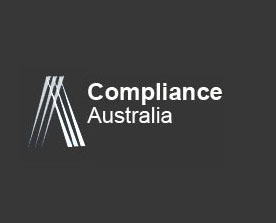 Prior to setting up Compliance Australia Greg held various positions with Bankers Trust Australia Limited over a twenty one year period, including Regional Head of Compliance, Head of Administration, Head of Human Resources and Chief Financial Officer. Greg is an experienced advisor, director, committee member and practitioner in corporate governance, risk management, compliance and business ethics. Greg was with Arthur Andersen as head of their compliance consulting practice for approximately 2 years. 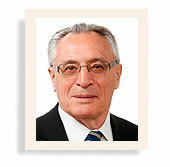 His passion is in aligning corporate culture to support excellence in governance, risk and compliance programs. 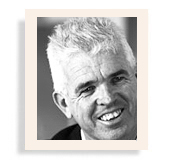 Patrick is an experienced executive, consultant, business adviser and educator. In his career of over 30 years he has been employed at senior levels by, and consulted to, major banking and insurance companies in US, Europe and Australia, including: Bankers Trust, Barclays, JP Morgan, Lehman, ABN Amro, Sydney Futures Exchange, Commonwealth Bank, Westpac, Colonial Bank, Credit Suisse, Commerzbank and others. He has also consulted on risk management to the Australian government and to commercial companies, such as BP and Optus. Patrick’s expertise includes international banking regulation having assisted firms in complying with Basel I, Basel II and local regulations in Australia and Europe. His particular focus is on the practical implementation of Risk Governance, covering complex issues such as aligning corporate strategy with risk appetite, governance organization, risk culture, risk frameworks and resolution of conflicts of interest. Patrick is also an expert on the strategic use of Information Technology having operated at the level of Chief Information Officer and Chief Architect for major IT programs. His current focus is on identifying the risks to the achievement of corporate strategies posed by inadequate IT risk management processes. He is a Chartered Engineer and Fellow of the British Computer Society. 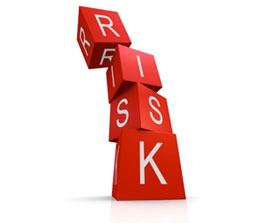 Patrick is a Visiting Fellow at Macquarie University Applied Finance Centre, Sydney and Trinity College Dublin, teaching Masters level course in Strategic Risk, Enterprise Risk Management, Operational Risk and Market Risk. He has published many articles on both Risk Management and Information Technology in academic and practitioner journals and is the author of the definitive book on Digital Dealing Room Technology. His doctoral thesis researched the organization of risk management functions in international banks. Patrick is also an expert on process improvement and is a certified Six Sigma Black Belt. 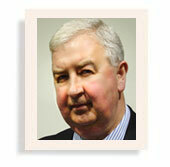 Peter specialises in providing practical and business focused compliance, risk management and governance solutions. He acted as an Independent Compliance Expert assisting clients deal with regulator actions in financial services, trade practices and energy industries. Peter’s guiding principle is “helping businesses achieve their goals safely”. Peter’s experience spans 27 years in management, consulting and regulator roles. Following a management career with a number of leading financial services companies including ANZ Funds Management, Prudential, Colonial and Zurich, he was the National Partner – Compliance at KPMG. Over recent years he has been an independent consultant. 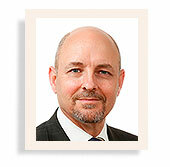 He has also been a Director for a number of public offer superannuation funds. Having a deep knowledge of compliance, risk management and governance, he has also held senior positions in strategic planning, marketing and product development. That has given him the advantage of being able to understand the complexities of governance from a business perspective. conducting independent AML/CTF compliance reviews. 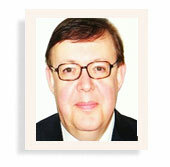 Peter has been active in industry associations throughout his career. He served as a Director and President of Australasian Compliance Institute and currently lectures on its education programs. He has also had a long association with Chartered Secretaries Australia where he is currently a member of the Corporate & Legal Issues Committee, which has made numerous successful submissions to Government on a variety of matters. Active in the Not For Profit sector, Peter is a member of the Juvenile Diabetics Research Foundation Finance Committee and of the ACI Not for Profit Working Group. Peter is a regular presenter on compliance and risk management at industry seminars and professional association forums both in Australia and Asia and has contributed a number of articles to industry journals. 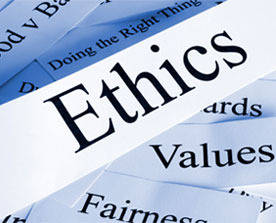 Stephen, who directs the Business Ethics Centre of Compliance Australia, is also the founder and director of the Graduate Programs in Professional Ethics at the University of New South Wales. Aside from his academic work in ethics, moral reasoning, business and professional ethics, and philosophy of law, Stephen has over fifteen years’ experience in consulting widely to the public and private sectors, the professions, and peak bodies throughout Australia. The consulting work has involved such things as ethics training, development of codes of ethics, analysis of ethical and compliance systems, corporate governance, development of ethical decision-making models, and social/values audits. Stephen has been sought after both for development of high-level and high-quality ethics awareness programs, and to help organisations fight ethical fires. Stephen has a history of many years working with the RTA on a number of its initiatives regarding ethics awareness and ethics management. This involvement has been at nearly all levels of the Authority’s employees – ranging from the General Manager and the Executive, to SES officers, to managers in all areas, to specific ethical concerns of various regions, and to tow truck drivers. Here, too, his involvement has been both to develop and roll-out programs as prophylactic and proactive, and to help with fighting ethical fires or to help with dealing with particular ethical problems. Stephen is currently completing a research project, “Ethical Excellence in the Public Sector of New South Wales”, jointly funded by the RTA, the NSW Department of Commerce, and the Australian Research Council. His book, Business Ethics, is the most widely used business ethics text in Australian universities. The fourth edition of this text was published earlier this year. Stephen has published widely in the areas of applied ethics, business, professional, and public sector ethics, corporate governance, moral reasoning, and the philosophy of law. He was recently named as the most productive business ethics scholar in Australia, and among the most productive in the world. He is sought after as a panelist and presenter at industry and public sector conferences, as well as by the media in matters concerning professional, public sector, and business ethics. Christine works with boards and management to transform their processes and relationships, to achieve seamless governance. She specialises in organisational culture which at a practical level encompasses the improvement of board performance, the role of ethics in governance and the structure of organisations, in both the commercial and not-for-profit sectors. This includes the development of organisational policy, which is the critical component of governance. Christine is an experienced company director and corporate adviser. She has been the Chair of several companies and many board committees. 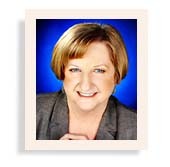 Originally an economist for the Reserve Bank of Australia, Christine moved into investment banking, where she was involved in major industry restructuring projects, long term strategy formulation, commercialisation of ideas and technologies and she has been personally responsible for several business start-ups. 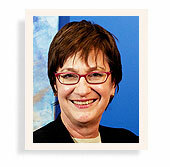 She was a founding partner of an Australian investment bank in the 1990s. Christine has been an executive and non-executive director of many companies, public and private, and on the board of several Commonwealth statutory authorities. She was a NSW finalist in the Telstra Businesswomen’s Awards in 2002 and is an author and presenter on the role of the board and duties and responsibilities of directors for the Australian Institute of Company Directors. 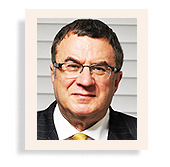 Robert Bishop has over thirty years experience in the Law, Corporate Finance, Funds Management, Compliance and Governance, firstly in the law at leading UK lawyers Linklaters & Paines, London (1982-1986) and Allen, Allen & Hemsley, Sydney (1986-1987) and then as a stockbroker and investment banker at Ord Minnett Corporate Finance, Sydney (1987 to 1995 – Director from 1994), Robert Fleming, London (1995-1996) and, since 1998, at his Sydney based corporate finance business, First Capital Markets. Member of the Australian Institute of Company Directors. Robert is currently a Responsible Manager on two AFSLs and sits on Compliance Committees for five Responsible Entity fund managers. Jillian is an experienced Compliance and Risk Management consultant with over 30 years experience in the Financial Services Industry. This has provided Jillian with a solid grounding in the traditional financial services products (e.g. personal loans, credit cards, personal & commercial mortgages, deposit products). She has held senior positions in both the administration of these products and in the governance, risk and compliance of these products. Jillian also has extensive experience in the compliance and risk management of the insurance, funds management and superannuation areas. Jillian specialises in providing ‘hands on’, practical advice to all levels of Management and Boards on the efficient and cost effective application of risk management and compliance. Jillian’s bases her implementations on providing commercially acceptable solutions to compliance and risk management issues. Jillian has been active in industry associations throughout her career and is currently a member of the Australasian Compliance Institute’s Finance Committee. 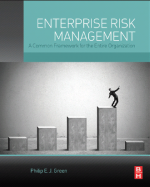 Designed and implemented the operational risk management framework across all divisions for a major financial service conglomerate. The divisions included financial advice, mortgage wholesale administration, funds management, superannuation administration and a life company. Write the compliance plans for all multiple entities of an international funds management, insurance and superannuation conglomerate to enable Australian licensing under the FSR regime. Brian is a senior compliance specialist with a 15 year background in risk and compliance in the financial services industry. Brian was formerly Head of Compliance for Westpac Institutional Bank and prior to that held various positions in structured finance in the banking and financial services industry with Westpac, Morgan Grenfell and Kleinwort Benson. Brian is currently a member of the Managed Fund Compliance Committee for Antares Managed Investments Limited, a subsidiary of NAB Limited. Institutional Markets and Services Division, National Australia Bank/ advice on conflicts of interest policy and related compliance program. Michael is currently an independent director and chair of the audit & risk committee of Private health insurer RT Health Fund Ltd. He has also held directorships in stockbroking and property development companies as well as acting as advisor to the board Finance and Investment committee of Grain Growers of Australia. Michael was previously the General Manager Operational Risk and Compliance with the Institutional Division of the Commonwealth Bank of Australia (CBA). While at CBA he successfully directed the implementation of Financial Services Reform. (FSR) across several business units. Michael has also provided risk management and compliance consulting services to Perpetual Trustees of Australia and the National Australia Bank focussing on embedding a compliance and risk management culture, the application of Basel II and compliance with Sarbanes Oxley standards. 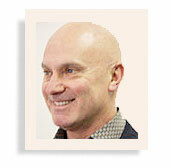 Michael has had extensive project management experience globally. As well as directing the implementation of FSR, he directed the planning and initial integration stages for various business units and subsidiaries for a major Singaporean bank. Michael also directed the implementation of centralised operations into Thailand’s 3rd largest bank. This was a first for Thailand. Through this experience he is able to offer practical solutions that meet regulator requirements within solid risk management and compliance frameworks. David is a lawyer with considerable experience in private commercial practice and as an in-house corporate counsel for Epson Australia He specialises in designing and delivering Corporations Law and Competition Law compliance training programs. He is a VETAB Accredited Trainer and Assessor and is a part time tutor at the University of Technology Sydney and a mentor in the Australian National University’s Legal Workshop.